A trio-vocal band consisting of Daiki (Hiroki) Yoshimoto (Vo. ), Shinichiro Ohta (Vo., Gt. ), and Akihito Tokunaga (Vo., B.). 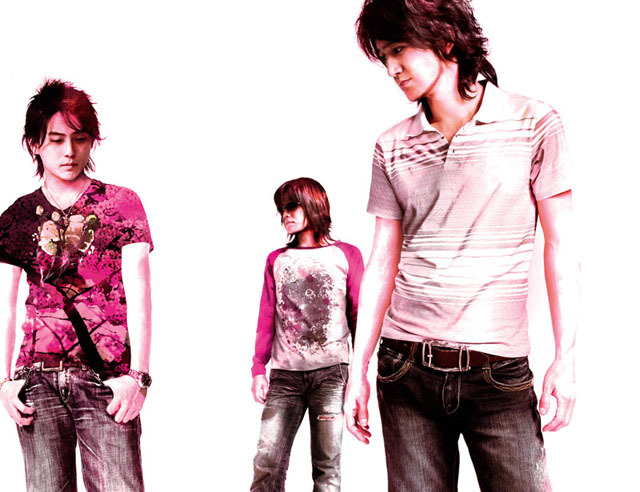 The band was formed by Tokunaga in 2004, and released their major debut single “Hinotori no Youni” in July. All members take on the role of main vocalist, and their music is characterized by lyrical music and beautiful harmonies. The band name was taken from the first letter of the members’ names: Daiki’s “D”, Ohta’s “O”, and Akihito’s “A”.